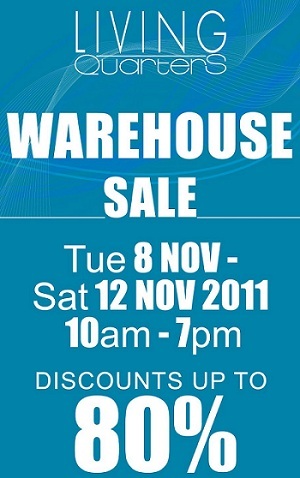 Living Quarters Warehouse Sale start TODAY!! Homes items discounts up to 80%, unexpected price cut and mark-down. Lot 18, Persiaran Selangor, Section 15, 40000 Shah Alam, Selangor.